All-wheel drive is nice, but a Lexus IS 350 F Sport with rear-wheel drive is a better driver’s car. 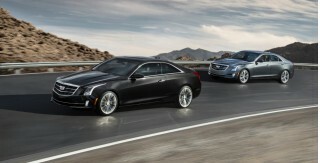 If you’re not in this game for the smiles, you’re honestly better off with a larger, less focused luxury sedan. The 2018 Lexus IS struggles to keep BMW, Mercedes, and Audi shoppers from buying some of their most popular vehicles. It fights the good fight with sport trim packages, snug-fitting sheet metal and a dose of high technology. It falls shy of the benchmarks in several ways, but shows promise. With the IS, Lexus hasn’t taken the styling risks or reaped the rewards it’s seen from cars like the new LC coupe. The IS is tidy but regular, big spindle grille notwithstanding. The cockpit has an audiophile charm and great fit and finish. Lexus confuses things with a trio of powerplants. 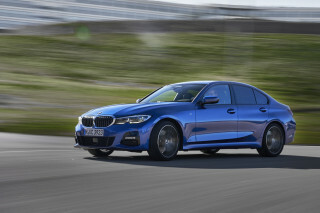 A base 241-hp turbo-4 mates with an 8-speed automatic, but the duo don’t work as well together as the like configurations do in German rivals. 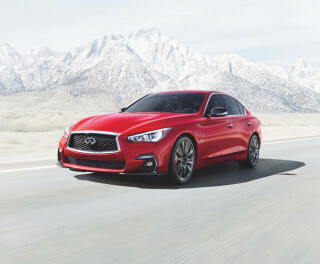 The mid-range V-6 is a must-skip; head instead to the top IS 350, with rear- or all-wheel drive, for 311 hp and smart acceleration–and don’t miss the F Sport package for well-composed handling that elevates the IS game. Smaller than the class mean, the Lexus IS suits two front passengers just fine, though F Sport seats need more lumbar to justify the price. Back-seat space is cramped in all dimensions, despite gains made in this generation. It’s as cramped as a Cadillac ATS, without the handling verve. Interior fit and finish is excellent. The IS posts uneven crash-test scores, but a rearview camera and advanced safety features are standard, a point where it outwits most of its rivals. Other features compromise that win: the infotainment system needs a total reboot, and synthetic leather is standard (again, more common than not on “luxury” cars in this niche). The IS doesn’t take huge styling leaps like the Lexus LC, but there’s nothing out of line here. Last year Lexus touched up the IS’ look with new bumpers and special F Sport tweaks. It’s still a remarkably risk-free shape, but that’s true of all its rivals, too. The Lexus IS wears some of the familiar cues we’ve seen on other vehicles from the brand, including the large, expressive spindle grille. It has a purposeful stance that fits in a lot of contexts: parking at Peet’s, chasing canyon bends, going back to the place where you think you left your cell phone last night. We hope it’s there, too. It’s all done with a minimum of fuss. Expressive, angular lines wrap around the IS’ front end, and continue in graceful and lean curves down the sides and at the tail. The cabin has an upscale look, with big horizontal bands inspired by high-end audio. Materials feel and look good. With its wide, squat center console, tiered dashboard, and analog clock, the visual effect is similar to interiors of cars costing twice or three times what the IS does. All said, we can’t wait to see what Lexus has in store for a new IS. It’s taken huge styling risks in its new LC and LS cars, and we hope that trickles down into this more reserved lineup. The Lexus IS puts its best foot forward with a strong V-6 and all-wheel drive. Mild power gains and a new base badge are all the change you’ll find under the Lexus IS’ skin. The IS 200t is now the IS 300, and it’s still a laggard. Other V-6s have more guts, but there’s no S or RS or M or AMG rival to be found. The IS 300 sports a 241-hp, 2.0-liter turbo-4 with 258 lb-ft of torque. Off the line, it’s not so eager, but feels reasonably strong once it spins up. It's paired exclusively with rear-wheel drive and a smooth-shifting, but indecisive and laggy 8-speed automatic. The paddle shifters are a boon: you’ll use them to tell the car to find a gear when it seems like it can’t. In all, this combination is a little slower, a little heavier, a little softer than the cars to which it pays homage. The next half-step comes in IS 300 AWD form. The number’s the same, but the engine here is a 260-hp 3.5-liter V-6 mated to all-wheel drive and a 6-speed automatic. Given its less than impressive output and step-backward gearbox, its higher sticker price seems like a big ask. We like the IS 350 best. Its 3.5-liter V-6 antes up 311 hp and 277 lb-ft, and pairs with all-wheel drive and a 6-speed, or rear-wheel drive and an 8-speed automatic. 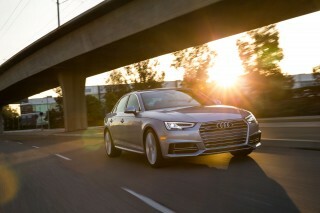 While the former is smooth and perfectly functional, the 8-speed shifts more quickly, improving both sporty and around-town driving. Unlike many rivals, the IS 350 has a naturally aspirated engine that builds power as the revs climb. While that means there's no flat torque curve for drivers to ride its wave, it adds to the experience as the power builds. Four built-in modes include Eco, Comfort, Sport, and Sport+, the latter being specific to F Sport models. Putting the car into Eco mode is a wet blanket on the party. The powertrain feels watered down and is sluggish. Comfort is most suitable for daily driving, but the transmission instantly goes for the upshift. Those looking to enjoy the F Sport will be pleased with Sport mode, even on daily slogs. Want to hit the autocross or road course over the weekend? Sport+ keeps the transmission in the lowest possible gear before spiraling to redline. In day-to-day driving, Sport+ becomes annoying and isn't truly suitable for a daily commute. Don’t confuse the IS 350 for a C43 or a 340i, though. The IS 350 is the best performer in this family, and can reach 60 mph in fewer than six seconds, but it doesn’t really come to handling life without the optional F Sport package. Not opting for the F Sport package still offers a good sports sedan thanks to the basic bones of the IS. Its chassis is reinforced in its latest iteration with structural braces to stiffen things up. Braking is stroke and fade-free on the street. True enthusiasts will likely skip the all-wheel drive option as it adds nearly 200 pounds to the IS, and the system lacks true performance enhancing qualities such as torque vectoring. Beyond tacking on extra trim pieces and "sporty" aluminum pedals, the F Sport package adds adjustable suspension and a sharper throttle and transmission mode called "Sport+" that unlocks the car's potential. It also adds a limited-slip differential this year. 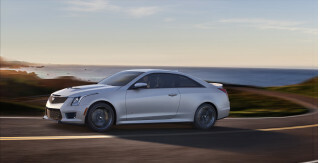 Even with the extra handling touches, cars like the those Germans, and the Cadillac ATS, have superior tracking and transitional handling than the Lexus. Buyers should beware that the optional staggered summer tire setup offered with the F Sport can be noisy on the highway. It’s a tight space to occupy, but the cabin in the Lexus IS is fitted to a high standard. The IS isn’t meant to be the sprawl-out-spacious sedan in the Lexus lineup. Want a huge back seat? Try out the ES. In the meantime, you’ll need to fold up rear-seat passengers in the IS. When it was redesigned in 2014, Lexus stretched the IS’ wheelbase a few inches, to 110.2 inches in all. 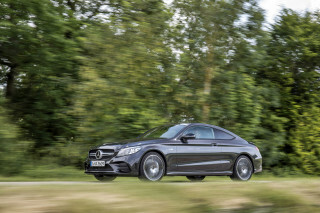 That’s still significantly shorter than the Benz C-Class and BMW 3-Series, and it shows. The front seats in the IS have ample, but not generous space. The console limits knee room on all-wheel-drive models. With the sunroof, head room is just acceptable. The base seats feel comfortable enough for long highway drives; it’s the F Sport seats that truly hug your frame as you slide into them. Larger than average size adults might find the F Sport seats to be a bit too fresh on the first date. In back, the Lexus IS lets down with slim knee and shoulder room. It’s rated at three across in back, but even two bigger adults will feel the pinch. From the driver seat all the controls are easily within reach, but not all are a joy to use. The climate control system features touch-sensitive sliders to adjust the temperature, which are both finicky and useless if you are wearing gloves. The Lexus infotainment system uses a mouse-like controller that is infuriating to use while driving down the road, and quite distracting to boot. Credit where it's due, Lexus gives the IS real buttons and knobs for most major functions, including a volume and tuning knob for the audio system. Trunk space is fine, if not expansive, at 13.8 cubic feet. The BMW’s is bigger, the Benz’s, smaller. Quality isn’t the IS’ issue, at all. Its leathers and plastics feel like they can sweat it out for at least a generation, and the old chintzy steering-wheel controls have been replaced with nicer units. The Lexus IS now boasts a leading set of safety features, but some crash scores are off. The Lexus IS performs well in some crash tests and finally has a standard rearview camera, as well as a bundle of forward-thinking safety technology. The NHTSA says the Lexus IS is five-star safe overall, though it gives the sedan four stars for front-impact protection. The IIHS says it’s “Good” in most tests and its headlights earn it a Top Safety Pick award. Lexus has added a standard rearview camera, and also fits the IS with the latest collision prevention hardware, including adaptive cruise control, forward-collision warnings with automatic emergency braking, and active lane control. Blind-spot monitors are an option. Infotainment is a minus, but the 2018 Lexus IS has a wide range of features and options. The Lexus IS serves many masters. 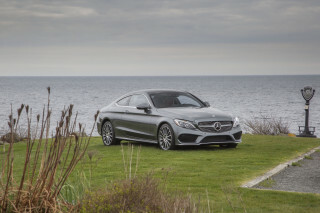 It’s an entry-level luxury car, and a sporty rival for Germany’s best-known sedans. Lexus is up to the task in terms of standard equipment and options, and in customization. All IS sedans have the usual power features, cruise control, and AM/FM/CD player with Bluetooth and USB. The IS also has a rearview camera, a moonroof, keyless ignition, LED headlights, synthetic leather, infotainment with a 7.0-inch display, and 17-inch wheels (18s on IS 350s). A Premium package adds heated and ventilated front seats; a Luxury group gets power-adjustable steering column and blind-spot monitors. Other packages bundle navigation and a 10.3-inch display; 15-speaker Mark Levinson audio; leather, wood, and a heated steering wheel; and parking sensors. 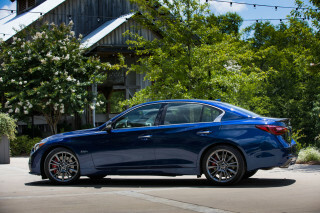 Each model—IS 300 or IS 350, rear- or all-wheel drive—can be fitted with an F Sport package. 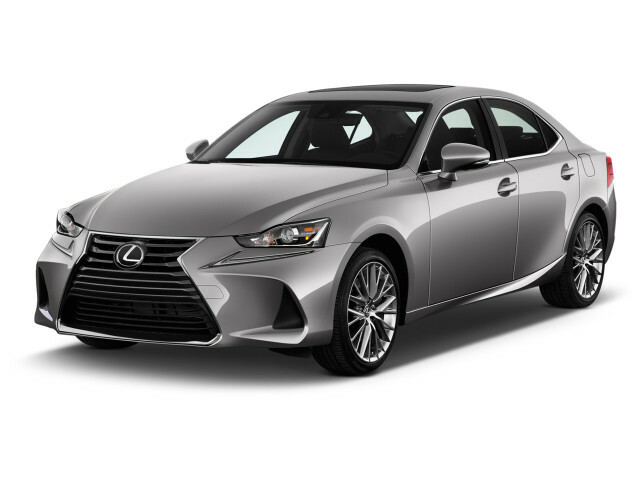 It adds on power front seats, better gauges, new front and rear bumpers, automatic parking assistance, silver-finish interior trim, and on the IS 350, adaptive dampers. Lexus also lets owners customize their cars with touches like lower springs and sport tires. We’re no fans of Lexus’ old-school infotainment system or its hapless haptic interface. Lexus also declines to offer Apple CarPlay or Android Auto compatibility, streamlined interfaces we use whenever they’re offered. Gas mileage is one of the 2018 Lexus IS’ letdowns. The EPA has a mixed report for the IS range. This year, the newly minted, rear-wheel-drive Lexus IS 300 earned EPA ratings of 22 mpg city, 32 highway, 26 combined. The all-wheel-drive IS 300 has a V-6, and its fuel economy is identical to that of the high-output V-6 with all-wheel drive, the IS 350. Both checked in last year at 19/26/22 mpg. A rear-drive IS 350 performs slightly better, at 20/28/23 mpg. 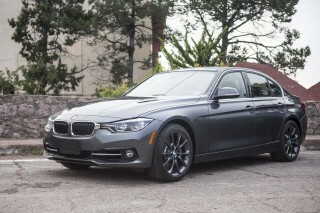 All ratings were based on premium fuel, and are lower than most versions of the BMW 3-Series and Mercedes C-Class.